I have experience in conducting challenge proceedings in both the Taxation Review Authority and High Court, and have also conducted numerous tax appeals relating to both income tax and GST. I have appeared in many judicial review proceedings involving tax matters, and have successfully settled several judicial review cases brought against the Commissioner of Inland Revenue. I have provided advice to companies, shareholders, and contracting parties in many contexts, and have particular expertise in company and securities law. Legal issues facing health practitioners include contractual liability, negligence, and professional disciplinary matters. I have experience in all of these areas of the law, and have appeared in the Coroner’s Court, Health Practitioners Disciplinary Tribunal, and the regular courts. Interesting cases in which I have been involved include baby swap cases, hospital negligence and liability for asbestos-related disease (the “washerwoman” case). The accident compensation scheme is a New Zealand creation, currently regulated by the Accident Compensation Act 2001. The statutory scheme is complex, and the appeal rules are very restrictive. I have conducted many appeals in the District Court, High Court and Court of Appeal. Judicial review is not normally available in accident compensation matters, but may occasionally provide an additional avenue of accountability. I have run a number of judicial review cases in this field. I have also provided advice to accredited employers who take responsibility for managing accident compensation with their own employees. The relationship between employers and ACC is regulated by statute and contract, and can give rise to difficult issues. I have expertise in contract law, and in the operation of the legislation, as well as familiarity with the provisions of the partnership agreement. I have advised on many aspects of professional conduct, and provided the Law Society’s opinion on retention of records which is regularly referred to. Professional disciplinary proceedings require an understanding of professional ethics, and the relationship between legal liability and professional accountability. I have acted for legal and health professionals, as well as in university disciplinary proceedings. Having worked in the Crown Law Office, I have a good understanding of the workings of public law. I have experience in judicial review proceedings in tax, ACC, health law, disciplinary proceedings, fisheries and education cases. I have also acted in proceedings relating to official information and the Privacy Act and have represented clients in the Human Rights Review Tribunal and the High Court in this areas. I have experience in relation to a number of regulatory regimes, and have conducted ground-breaking litigation in cost recovery under statutory schemes. I have advised and represented clients in a number of aspects of the law relating to trusts and estates, including family protection claims, relationship property on death, and issues arising out of enduring powers of attorney. The Waitangi Tribunal has developed its own jurisprudence, and has devised its own procedures for hearing claims. I have had experience in a number of the historical inquiries heard by the Tribunal. Andrew Beck has 35 years’ experience as an advocate, law teacher and legal writer. He has worked in universities, law firms, and as a barrister sole. Since 2002 Andrew has been a member of the independent bar, with bases in Wellington and the Wairarapa. Andrew recognises that the law does good things for many people, but cannot solve all problems and recognition of what the law can and cannot do is fundamental to good legal advice. Andrew aims to look at issues in a pragmatic and sensible way in order to achieve a good outcome. Andrew’s interests are wide-ranging and he specialises in tax, commercial, health and public law litigation. He has a particular interest in judicial review and appellate work, and has conducted many appeals in the High Court, Court of Appeal and Supreme Court. 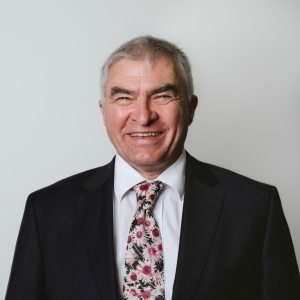 Andrew Beck has extensive adjudication experience as the Convenor of the Legal Aid Review Panel and a member of the New Zealand Markets Disciplinary Tribunal. He is available to act as an arbitrator. I write regular features on litigation in the New Zealand Law Journal and on contract in the New Zealand Law Review. I am the editor of the Procedure Reports of New Zealand. Seminars presented for the NZ Law Society include Introduction to Company Law, Litigation Involving Companies, Commercial Law for Litigators, Evidence Act 2006 for Civil Litigators and Reform of District Court Rules. From 2015 onwards I have developed and presented a series of webinars on topics in civil litigation including discovery, High Court appeals, costs, and changes in court litigation. Since 2011 I have presented four masterclasses in Contract Law for the masterclass series offered by the New Zealand Law Review. This case involved a challenge to the cost recovery powers of the EPA under the Exclusive Economic Zone and Continental Shelf (Environmental Effects) Act 2012. Chatham Rock claimed that the costs it was charged for a marine consent application were unlawful and did not take into account an appropriation by parliament. The Court discussed appropriations in some detail and held that they were not designed to fund individual marine consent applications. The Court also upheld the charges made by the EPA and decided that its processes were robust. This was a costs decision following a successful appeal by Ms Lagolago against a decision of the Lawyers and Conveyancers Disciplinary Tribunal. The Court held that the Tribunal’s general approach towards costs awards against Standards Committees was incorrect. The Tribunal is required to exercise a discretion taking all relevant matters into account. Costs awards are not confined to extraordinary cases.